This is not a good build for league starter !! ++ Fast Clear Speed ! ++ Insane Damage & Leech ! ++ Immune to stun ! ++ Easily Clear all content ! With +2 additional barrage projectiles is the best choice to give you more damage. Even none barrage enchanted but damage still insane !! 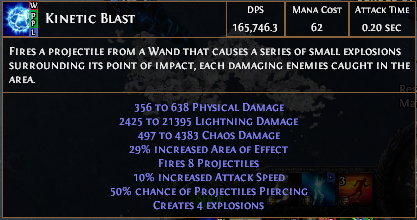 This is the best wand for this build. * If your wand have no physical damage you shouldn't do this node. Gain 10-20% Elemental Damage as Extra Chaos Damage can give you a lot of damage !! 0.8 - 1% Life Leech is enough. 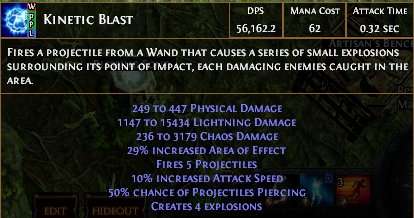 25 % of Elemental Damage Taken as Chaos Damage = 75 % Ele Damage Taken. Rare ES Shield with High ES and Res. Adds 1 to 160 Lightning Damage if you haven't killed is the best choice. Belt ... some Res and some Strength here. Rings ... % Elemetal Damage and +# Accuracy Rating and some Res. Q : 3.0 available ? A : Same as another ES build , Let's see what happens after 3.0 Beta. If nothing changed from beta maybe we can go with life version. Q : How to get power charge ? 1. For mapping we have HoT or HoI > Curse on hit > Assassin's Mark. 2. For boss fight we have Jaws of Agony, you should linked gems like below. Before boss fight swap and throw traps until full power charge.Then killing them. Q : How much % of Life / Mana Leech ? A : 0.8-1 % Life Leech from Incandescent Heart , 0.4 % Mana Leech from Passive. I followed another guide, which had almost same gear/same tree. Seeing how both guides took down T16/T17 bosses easily. Strangely I found it very hard to level in 3.0. Did Lightning Arrow/Barrage until lvl 28, then switched to KB. But this must have been to soon. 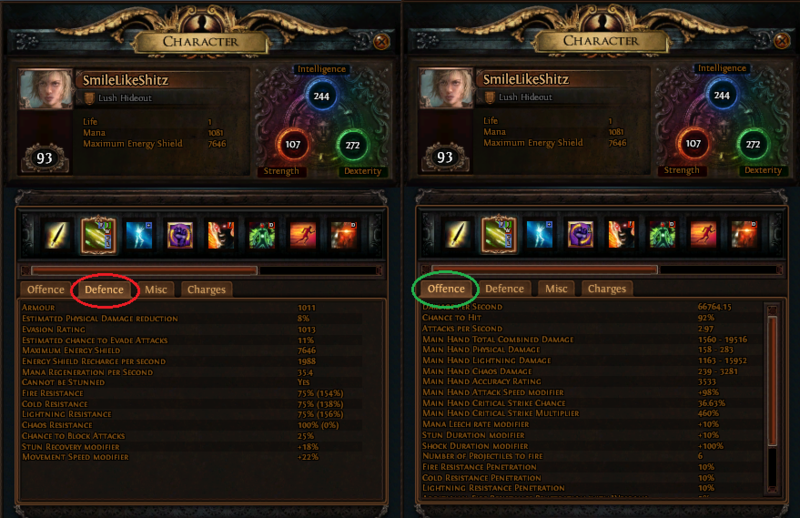 Can you tell us, how you leveled till endgame ? This is the gears that i used to leveling. I've been playing Spectraw Throw with this gears until lvl 68. Because the main gears required lvl 68.
how are you generating power charges with the above set up? Jaws of Agony is the answer.Set up in secondary weapon. How to use ? => swap weapon and throw trap skill whenever you need. Great! Looking forward to play this in 3.0! Did u test it in beta? No, not yet. But don't worry , we’ve got everything under control. In the wand, what should we look for instead of " adds / to / Physical damage " ? 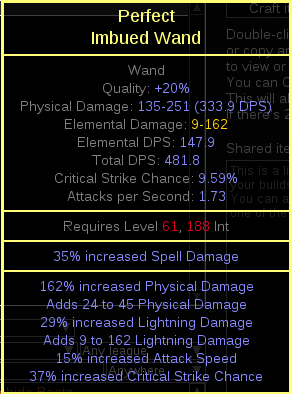 The wand that i used is really good wand for this build, because this node. We need adds # to # physical damage more than % increased physical damage. Because it can give damage more than pure %physical damage. However if you have both of them it must be perfect wand like below. But it gonna be very expensive. That's why i used my wand. Because easy to find and cheap. Or you can DIY by using Shrieking Essence of Wrath. 2ex for Can have multiple crafted mods. And then craft like this .